Where do I start with why I’m looking forward to Reboot. The possibility of redemption and reclamation of Wren’s lost humanity? The heavy dystopian vibes? The implied issues of morality? Duty vs. love? Rebellion & resistance? The romance that appears to be at this book’s core? <– Ok. Yeah. All of that is why I’m looking forward to meeting Wren & Callum. After the end of Arise, I just don’t know what to expect from Elegy, but I’m intrigued and I can’t wait to find out what’s next for Amelia and Joshua! Normally, I’m not drawn to futuristic or sci-fi type books, but this one seems just a hair different than the norm. Opposites attract in a totally desolate location… sounds romantic. I really like the concept that this trilogy will be three standalone novels. It’s always nice when you can read a book and not have a panic attack at the end when you realize the next book isn’t coming out for 17 years. YA SciFi – something you don’t see so very often around! so this one seems great! Also, ReBoot sounds awesometastic! I know! Aly telling me about it was the first I’d heard of These Broken Stars, totally need that book… as well as Reboot Thanks for stopping by, Danny! I’ve seen Elegy a few times already but the others I hadn’t heard of so thank you all for sharing them! ^.^ If you would like to check out my Waiting On Wednesday you can do so here. You’re welcome! Thank you for stopping by our WoW so faithfully. Your WoW choice is appropriately Halloweenish this week! lol Love that cover. Soooooo creepy. I haven’t read Arise yet, so I skipped over Elegy for fear of spoilers. 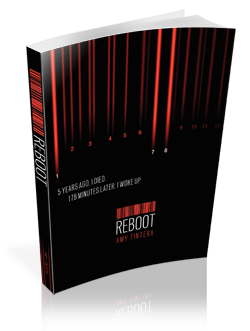 I’d seen the cover for ReBoot, but hadn’t stopped to read the blurb. HOLY CRAP! Can I just say yes emphatically to everything you listed for why it’s a must read?? 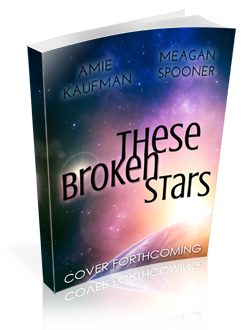 And I love the idea of YA SciFi, and that These Broken Stars’ trilogy will be stand-alones that touch on the same world. Kind of like Carrie Ryan’s Forest of Hands and Teeth series – new characters in every book, that are somehow connected; I loved it! And I’m SO looking forward to These Broken Stars. Seriously, there is not enough YA sci-fi. And I’m also looking forward to the fact that it’s a standalone. All great choices. I have not started the Hereafter series yet but want to. Reboot is new to me and sounds so awesome. These Broken Stars sounds good too. thanks for sharing. Yay! Thanks for stopping by JennRenee! All great picks! I am particularly excited for Reboot! 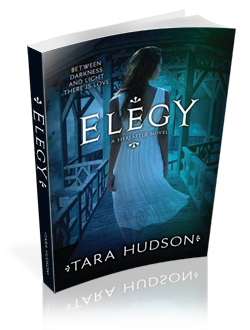 And the cover for Elegy is gorgeous, just like the rest of the series. I hadn’t heard of the last one but it does sound interesting and of course I agree, it is a total win to be a standalone. I know. Sometimes you just need a good standalone. Sometimes my heart just can’t take the yearlong wait between installments and I just need a story wrapped up. lol And yes, I love how the beautiful continuity of the Hereafter series covers. Thanks so much for stopping by Sara! I like the sound of These Broken Stars and I would love to get my hands on it. It really sounds great. I hope you like your picks when you get the chance to read them. Great picks! Yay! Glad you found some new reads Thanks for stopping by, Samantha! Reboot and These Broken Stars both sound awesome! I already knew about Reboot but this is my first time hearing about These Broken Stars! Adding that to my list right now! The idea of each book being a standalone is pretty awesome too. Ha! WoW fail. lol Thanks for letting me know. All of these sound absolutely amazing! I’m really looking forward to Reboot. I love the cover for it, too. Elegy as well! Great, great picks! Wow so many awesome picks! Reboot definitely caught my attention! They are all new to me and I am very happy to say they have all found their way onto my tbr lol! Great picks as always ladies! Yay! Yes… Reboot… 😀 Can’t wait! Thanks for visiting! Great picks! I can’t wait for Elegy either! The other two are new to me! I still need to read Arise, but I may just wait to do that until Elegy is out so I can do a Joshua/Amelia marathon Thanks so much for stopping by, Jessica! These are some great choices! Reboot sounds awesome. I haven’t read any of Tara Hudson’s books yet but I have one waiting for me on my kindle. Guess I need to get cracking. I love that Elegy will be a trilogy but 3 standalones. Trilogies give me heart palpitations with their crazy cliffhangers. Wow, out of the three, Reboot is the one I’m most excited for. It sounds so addicting! Great picks! All of these sounds really great! Reboot is a really unique concept and I can’t wait for the romance in These Broken Stars. Here is my WoW. Ditto and ditto. 😉 Thanks so much for stopping by! Reboot sounds awesome, Dani! Can’t wait to read your review. Oh, thank you! ‘Twill probably be awhile til I can get my hands on it. lol I hope you are having a fabulous Thursday! Doesn’t it though? lol Thanks for droppin’ in Kelley! These Broken Stars sounds gorgeous. I love the whole star-crossed lovers thing. Thanks for the rec! It does sound gorgeous. Very much looking forward to that one as well Thanks for stopping by, Tiff!